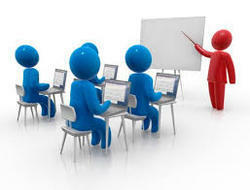 INDWELL Electrical Training - Basic, Advance & Industrial Electrical Training. Electrical principles and compontants used in Industrial Electrical & Instrumentation. This program is designed to help ensure that energized high voltage electrical work at UC Irvine is performed safely by authorized employees, who are trained and provided with the appropriate safe work procedures, protective equipment and other controls. With vast industry experience, we are indulged in providing Training services for Instrument Tube & Cable Tray Fitters. The areas, we cover under this training includes introduction to hook up drawing, bill of material, impulse tubing (1/4", 3/8"&1/2' OD), tube fitting isolation hydraulic checking and pneumatic testing. Training Duration: 04 hrs. - 08 hrs. Basically this program is designed for new employees. Safety Training Services. Fire Safety Training, Safety Management, Evacuation, Safety Equipment Handling. 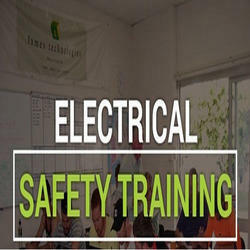 We conduct Electrical Safery Trainings and Audits . also we train engineers on relay coordination, cascading, discrimination , Switchgear selections. Group Policy Mandates Before Any Deployment That All PIONEER employees undertake a comprehensive Training Course which also fulfills the requirement as per the PRIVATE AGENCE (REGULATION) ACT-2005 & KARNATAKA PRIVATE SECURITY AGENCY RULES -2008 (PSARA) issued by POLICE DEPARTMENT In The State.